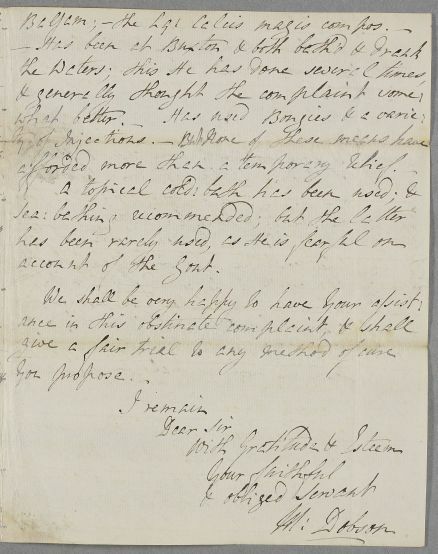 Letter from Matthew Dobson in Liverpool, regarding the case of an unnamed male patient, a gouty bachelor of 50 with 'a very singular Gleet', for which he has tried a wide range of remedies, inclusing Buxton water (internally and externally). 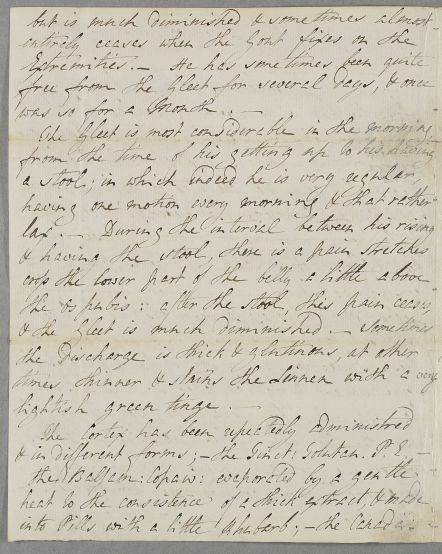 Dobson also tells Cullen he has come across 'some cases of a kind of chronic apthæ affecting the tongue & Lips', and asks his advice on these, also. 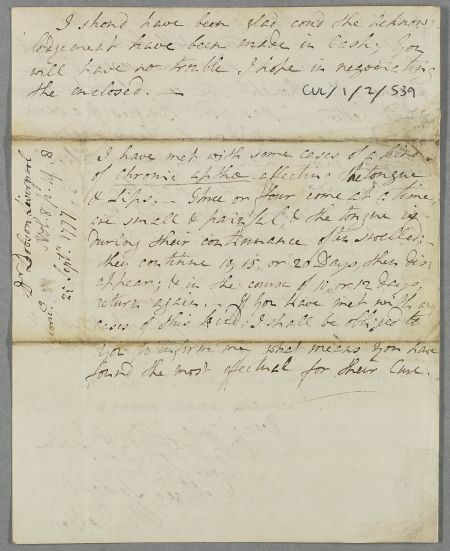 Summary Letter from Matthew Dobson in Liverpool, regarding the case of an unnamed male patient, a gouty bachelor of 50 with 'a very singular Gleet', for which he has tried a wide range of remedies, inclusing Buxton water (internally and externally). 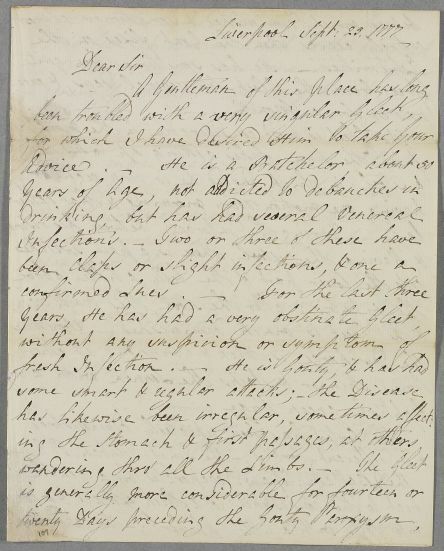 Dobson also tells Cullen he has come across 'some cases of a kind of chronic apthæ affecting the tongue & Lips', and asks his advice on these, also. found the most effectual for their Cure.